Our most painful moments are also our most important. Rather than run from pain, we need to identify it, accept it, and learn how to use it to better ourselves. Our images of learning are filled with positive thoughts about how we learn from others. We read memoirs from the titans of industry, read op-ed pieces from thought leaders, and generally try to soak up as much as we can. With all this attention placed on learning and improving and knowing, it might surprise you that we’re missing one of the most obvious sources of learning: ourselves. Pain is something we all try to avoid, both instinctively and consciously. But if you want to do amazing things in life, you need to change your relationship with pain. 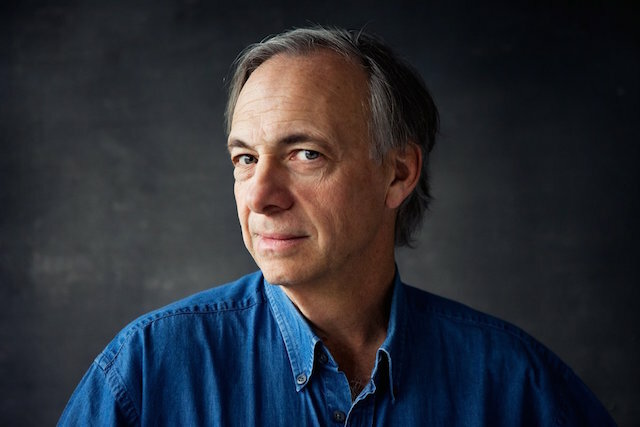 Ray Dalio, the longtime leader of Bridgewater, the largest hedge fund in the world, argues that pain “is a signal that you need to find solutions so you can progress.” Only by exploring it and reflecting on it can we start to learn and evolve. “After seeing how much more effective it is to face the painful realities that are caused by your problems, mistakes, and weaknesses, I believe you won’t want to operate any other way,” Dalio writes in his book Principles. There is an adage that says if you’re not failing, then you’re not really pushing the limits of what’s possible. Sometimes when we push, we fall, and sometimes we break through. When we fall, the key is to reflect on the failures. Doing that in the moment, however, is often a very painful process that goes against our human operating system. Our painful moments are important moments. When we confront something painful, we are left with a choice between an ugly and painful truth or a beautiful delusion. Many of us opt for the latter and it slows our progress. We’ve known about this problem for a long time: We’ve watched others make mistakes and fail to learn from them. They are blind to the mistakes that are so clear to us. They run from the pain that could be the source of learning. They become comfortable operating without pain. They become comfortable protecting the version of themselves that existed yesterday, not the version of themselves that’s better than they were yesterday. You have a choice: You can prefer that the people around you fail to point out your blind spots, or you can prefer that they do. If you want them to, it’s going to be uncomfortable. It’s going to be awkward. It’s going to hurt. Embracing this approach, however, means that you will learn faster and go further. It’s a great example of first-order negative, subsequent positive. That means the first step is the hardest and it hurts, but after that, you reap the benefits. Of course, many of us prefer to tell ourselves that we have no weaknesses. That the world is wrong, and we are right. We hide our weaknesses not only from others but also from ourselves. Being open about weaknesses means being open about who we are in the moment. It doesn’t mean that’s who we are forever. But we can’t improve what we can’t see. Many the people I talk to on our podcast have endured setbacks that seemed catastrophic at the time. Ray Dalio punched his boss in the face. Annie Duke lost millions. Countless others have been divorced, fired, or otherwise in a position where they felt unable to go on. I’ve been there too. It’s in these moments, however, that a meaningful part of life happens. Life is about what you do in the painful moments. The choices you make. The path you choose. The easy path means being the same person you were yesterday. It’s easy and comfortable to convince yourself that the world should work differently than it does, that you have nothing to learn from the pain. The harder path is to embrace the pain and ask yourself what you could have done differently or better or what your blind spot was. It’s harder because you stop living in the bubble of your own creation and start living in reality. The people who choose the easy path have a very hard life, whereas those who choose the harder path have an easier life. If we don’t learn to embrace being uncomfortable, we will need to learn how to embrace irrelevance, and that will be much harder. FS Members can discuss this article on the Learning Community Forum. While the answer isn’t cut and dry, I’ve noticed an interesting mindset difference between these two groups: they approach obstacles and challenges very differently. The first group approaches life with an open mind — an eagerness to learn and a willingness to be wrong. The second group digs their heels in at the first sign of disagreement and would rather die than be wrong. The way each group approaches obstacles, it turns out, defines much of what separates them. Before you smugly slap an open-minded sticker on your chest, consider this: closed-minded people would never consider that they could actually be closed-minded. In fact, their perceived open-mindedness is what’s so dangerous. It’s a version of the Batesian Mimic Problem — are you the real thing or a copycat? Are you the real deal, or have you simply learned to talk the talk, to look the part? These are tough questions to answer. Nobody wants to admit to themselves that they’re closed-minded. But the advantages of having that courage are massive. The ability to change your mind is a superpower. The ability to change your mind is a superpower. The rate at which you learn and progress in the world depends on how willing you are to weigh the merit of new ideas, even if you don’t instinctively like them. Perhaps especially if you don’t like them. What’s more, placing your trust and effort in the right mentor can propel you forward, just as placing it in the wrong person can send you back to the starting point. So how can you tell what camp you’re in? How do you make sure you’re being influenced by the right group of people? In his book Principles, Ray Dalio, self-made billionaire and founder of the largest hedge fund in the world, lays out seven powerful ways you can tell the difference. Closed-minded people don’t want their ideas challenged. They are typically frustrated that they can’t get the other person to agree with them instead of curious as to why the other person disagrees. Closed-minded people are more interested in proving themselves right than in getting the best outcome. They don’t ask questions. They want to show you where you’re wrong without understanding where you’re coming from. They get angry when you ask them to explain something. They think people who ask questions are slowing them down. And they think you’re an idiot if you don’t agree. In short, they’re on the wrong side of right. Open-minded people are more curious about why there is disagreement. … They understand that there is always the possibility that they might be wrong and that it’s worth the little bit of time it takes to consider the other person’s views…. Open-minded people see disagreement as a thoughtful means to expand their knowledge. They don’t get angry or upset at questions; rather, they want to identify where the disagreement lies so they can correct their misperceptions. They realize that being right means changing their minds when someone else knows something they don’t. Closed-minded people are more likely to make statements than ask questions. These are the people who sit in meetings and are more than willing to offer their opinions, but never ask other people to expand on or explain their ideas. Closed-minded people are thinking of how they would refute the other person’s thoughts, rather than trying to understand what they might be missing. Open-minded people genuinely believe they could be wrong; the questions that they ask are genuine. Open-minded people know that while they may have an opinion on a subject, it could count for less than someone else’s. Maybe they’re outside their circle of competence or maybe they’re experts. Regardless, they’re always curious as to how people see things differently and they weigh their opinions accordingly. Closed-minded people focus much more on being understood than on understanding others. People’s default behaviors offer a quick tell. When you disagree with someone, what’s their reaction? If they’re quick to rephrase what they just said or, even worse, repeat it, then they are assuming that you don’t understand them, rather than that you are disagreeing with them. Open-minded people feel compelled to see things through others’ eyes. When you disagree with an open-minded person, they are quick to assume that they might not understand something and to ask you to tell them where their understanding is incomplete. Dalio nails this one. I have nothing to add. Closed-minded people say things like “I could be wrong … but here’s my opinion.” This is a classic cue I hear all the time. It’s often a perfunctory gesture that allows people to hold their own opinion while convincing themselves that they are being open-minded. If your statement starts with “I could be wrong”…, you should probably follow it with a question and not an assertion. Open-minded people know when to make statements and when to ask questions. Open-minded people are always more interested in listening than in speaking. Closed-minded people have trouble holding two thoughts simultaneously in their minds. This reminds me of the memorable quote by Charlie Munger: “The human mind is a lot like the human egg, and the human egg has a shut-off device. When one sperm gets in, it shuts down so the next one can’t get in.” It’s our nature to close our minds around our favorite ideas, but this is not the ideal way to think and learn. Open-minded people can take in the thoughts of others without losing their ability to think well—they can hold two or more conflicting concepts in their mind and go back and forth between them to assess their relative merits. Closed-minded people lack a deep sense of humility. Where does one get humility? Usually from failure—a crash so terrible they don’t want to repeat it. I remember when a hedge fund I was on the board of made a terrible investment decision. We spent a lot of time rubbing our noses in it afterward in an attempt to make sure we wouldn’t repeat the same mistake. In the process, we learned a lot about what we didn’t know. Open-minded people approach everything with a deep-seated fear that they may be wrong. If you recognize closed-minded behavior patterns in yourself, you’re not alone. We’re all somewhere on the continuum between open- and closed-minded by default. Further complicating things, it varies by day and subject. Staying open-minded won’t happen by accident. When you find yourself exhibiting these behaviors in the moment, acknowledge what’s happening and correct it. Don’t blame yourself. As soon as you can, find a quiet place and reflect on what’s going on at a deeper level. Try to do better next time. Remember that this stuff takes work. Maybe you have your self-worth wrapped up in being right, or maybe you’re not the right person to make a given decision. Or maybe it’s something else. Either way, this is something worth exploring. I have one more thing to add: Being open-minded does not mean that you spend an inordinate amount of time considering patently bad ideas just for the sake of open-mindedness. You must have what Garrett Hardin calls a “default status” on various issues in your head. If someone offers you the proverbial free lunch, it’s OK to default to skepticism. If someone offers to build you a perpetual motion machine, I suggest you ignore them, as they’re violating the laws of thermodynamics. If someone offers to help you defraud the government and suggests that “no one will know,” I suggest you walk away immediately. There is wisdom in closed-mindedness on certain issues. But consider this: Do you know anyone who doesn’t have any blind spots? I strongly doubt it. Then why would you be any different? As Dalio makes clear, you must be active in the process of open-mindedness: It won’t happen by accident. Ray Dalio, founder of the investment firm Bridgewater Associates, offers a prime example of what a learning organization looks like in the best book I’ve ever read on learning, Learn or Die: Using Science to Build a Leading-Edge Learning Organization. He comes to us again with this bit of unconventional wisdom. To make money in the markets, you have to think independently and be humble. You have to be an independent thinker because you can’t make money agreeing with the consensus view, which is already embedded in the price. Yet whenever you’re betting against the consensus there’s a significant probability you’re going to be wrong, so you have to be humble. What’s important isn’t that he was wrong, it’s what the experience taught him and how he implemented those lessons at Bridgewater. This episode taught me the importance of always fearing being wrong, no matter how confident I am that I’m right. As a result, I began seeking out the smartest people I could find who disagreed with me so that I could understand their reasoning. Only after I fully grasped their points of view could I decide to reject or accept them. By doing this again and again over the years, not only have I increased my chances of being right, but I have also learned a huge amount. There’s an art to this process of seeking out thoughtful disagreement. People who are successful at it realize that there is always some probability they might be wrong and that it’s worth the effort to consider what others are saying — not simply the others’ conclusions, but the reasoning behind them — to be assured that they aren’t making a mistake themselves. They approach disagreement with curiosity, not antagonism, and are what I call “open-minded and assertive at the same time.” This means that they possess the ability to calmly take in what other people are thinking rather than block it out, and to clearly lay out the reasons why they haven’t reached the same conclusion. They are able to listen carefully and objectively to the reasoning behind differing opinions. When most people hear me describe this approach, they typically say, “No problem, I’m open-minded!” But what they really mean is that they’re open to being wrong. True open-mindedness is an entirely different mind-set. It is a process of being intensely worried about being wrong and asking questions instead of defending a position. It demands that you get over your ego-driven desire to have whatever answer you happen to have in your head be right. Instead, you need to actively question all of your opinions and seek out the reasoning behind alternative points of view. Still curious? Check out my lengthy interview with Ed Hess.